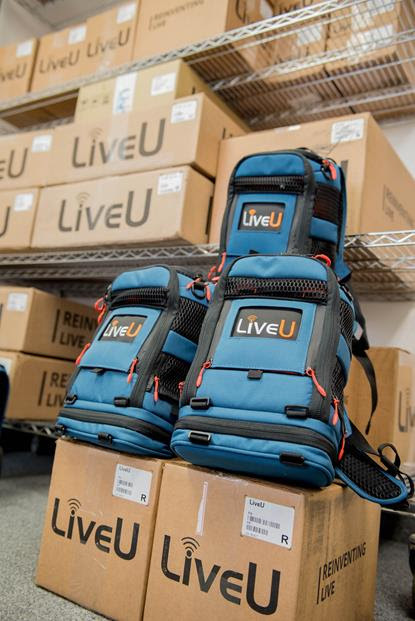 Sinclair Broadcast Group recently signed a multi-year lease agreement with LiveU that upgrades its fleet of hundreds of portable transmission units to LU600 HEVC for its newsgathering operations. The agreement immediately upgrades Sinclair stations spanning 80 production locations in the U.S. to LiveU’s flagship model of HEVC field units featuring higher efficiencies, greater stability, increased reliability, and the best video quality in low bandwidth situations. Sinclair continues pushing the technology envelope with the use of LiveU’s other IP-based solutions including LiveU Matrix, LU-Smart, and LiveU vehicle solutions. Sinclair is implementing LiveU Matrix to share live content for news events, such as the California wildfires, across all its broadcast and digital news platforms. LiveU Matrix, the company’s next-generation IP cloud video management platform, enables Sinclair’s stations to view, manage, and distribute live content quickly and efficiently throughout the station group using low-cost internet connectivity. As breaking news happens anywhere at any time, Sinclair is evaluating the ability to arm its field reporters and crew with LU-Smart app for smartphones, so they can go live virtually anywhere and send that content back to the studio for editing and distribution.